“The Caveman” Elk wins the CLASH Wrestling All Out War battle royal, last eliminating surprise entry “Sin City Sparklin” Cameron Skyy. 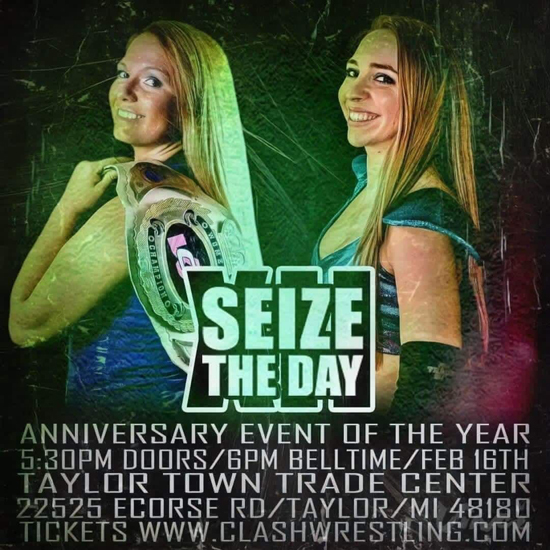 Elk is the new #1 contender going into CLASH Wrestling’s Seize The Day in 2019. ** CLASH Management kicked off the event unveiling the newly designed Women’s Championship to current title holder, Nevaeh. “The Caveman” Elk interrupted voicing his concern over CLASH Wrestling the company allegedly holding him back. 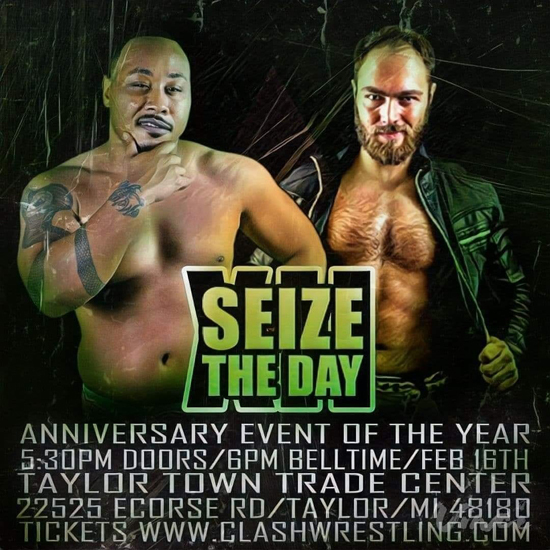 While those comments aren’t verified by CLASH Wrestling, the ring began to clear for Elk’s upcoming match. * “The Caveman” Elk def. Dragon Greed via disqualification. * Justin Mane def. Breyer Wellington via pinfall. * H3RD (“Mad Scientist” Tommy Treznik & Ded Vaughan w/ Dr. [Wrecking] Ball) def. The Lotus (Gavin Quinn & Juntai) to capture the CLASH Tag Team Championship and prevent a head shaving (also on the line for H3RD). * Nevaeh (c) def. Hanna; Allysin Kay attacked Nevaeh after the match. * “The Caveman” Elck won the battle royal #AllOutWar match, last eliminating Sepultra DeManzo, Maserati Rick, Dragon Greed, and the returning “Sin City Sparklin” Cameron Skyy.